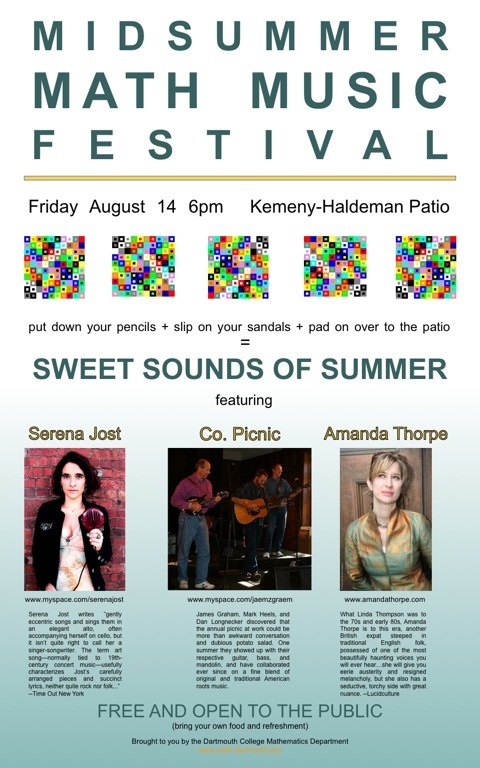 The Mathematics Department at Dartmouth College is excited to host a midsummer music festival on Friday, August 14th at 6pm on the Kemeny-Haldeman Patio. James Graham, Mark Heels, and Dan Longnecker discovered that the annual picnic at work could be more than awkward conversation and dubious potato salad. One summer they showed up with their respective guitar, bass, and mandolin, and have collaborated ever since on a fine blend of original and traditional American roots music.